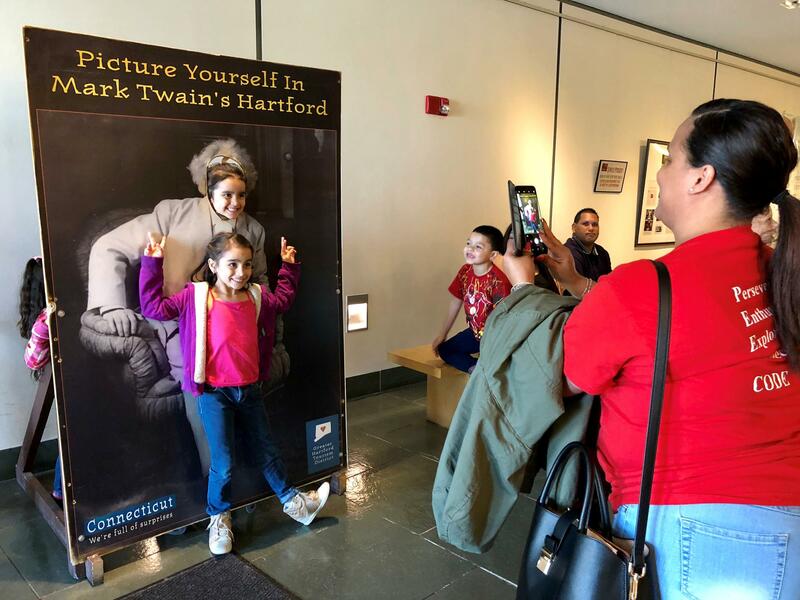 Sanchez School employee Sally Vazquez, right, takes a photo of Hartford students in the lobby of the Mark Twain House & Museum. 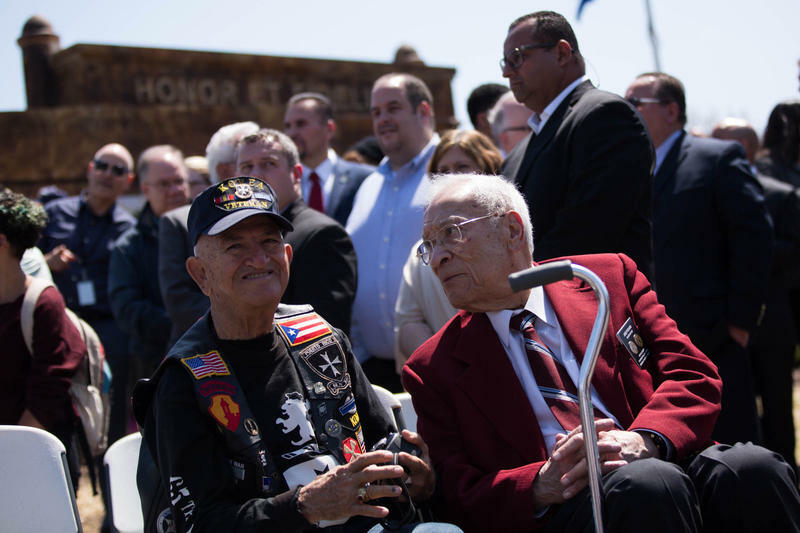 Families displaced from Puerto Rico were invited to the American landmark. Evacuees from Puerto Rico take a private tour of the historic Mark Twain House in Hartford. 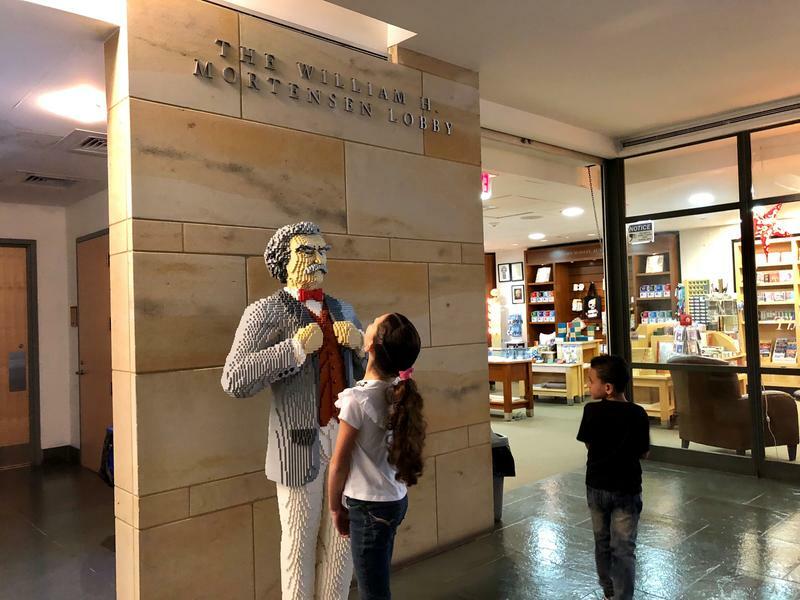 Sanchez School student Mariangeliz Guerrero Morales, 10, an evacuee from Puerto Rico, faces off with LEGO Mark Twain. Milianis, a 5-year-old student at Hartford’s Sanchez Elementary School, came to this national landmark on a Saturday morning with her mom and other families displaced from Puerto Rico. They climbed the creaky stairs of the historic home built in 1874, and learned that the famous man who used to live here had affection for their island. This private tour was months in the making. Hartford schools Superintendent Leslie Torres-Rodriguez said she was talking to some of the evacuees in December, just a few months after Hurricane Maria ripped through Puerto Rico — the damage forcing out thousands of U.S. citizens who began resettling in cities such as Hartford. When the superintendent asked if they had been to any of the museums in Hartford, they told her no, she said — and that they worried about access and the language barrier. Puerto Rican evacuee Milianis Rivera, 5, delights when she sees a photo of young Clara Clemens. Mark Twain House tour guide Grace Belanger, left, said Milianis looks like Clara. Sanchez School employee Sally Vazquez, in red, translated in Spanish. 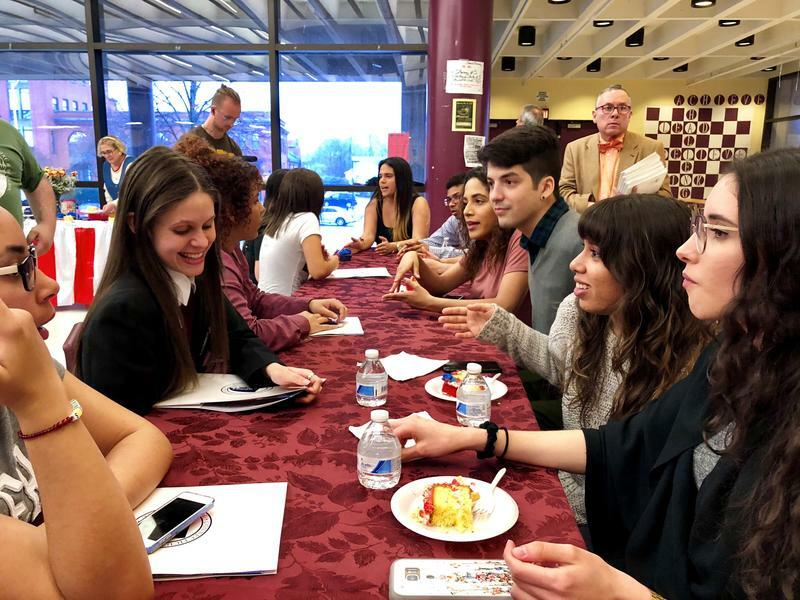 The topic kicked up some memories for Torres-Rodriguez, who said she visited the Mark Twain House as a new arrival from Puerto Rico in the mid-1980s. She was 9 years old. Helping evacuees feel more at home in their new city is a long-term process. An invitation to this cultural institution, organizers thought, was a small step. On a recent spring day, displaced families at Burns and Sanchez schools arrived for their own field trip to this vintage Hartford place. The two city schools each received a big influx of evacuees after the hurricane — and both are located just over a mile away from the American landmark where Samuel Clemens, also known as Mark Twain, lived when he produced literary classics such as Adventures of Huckleberry Finn and The Adventures of Tom Sawyer. 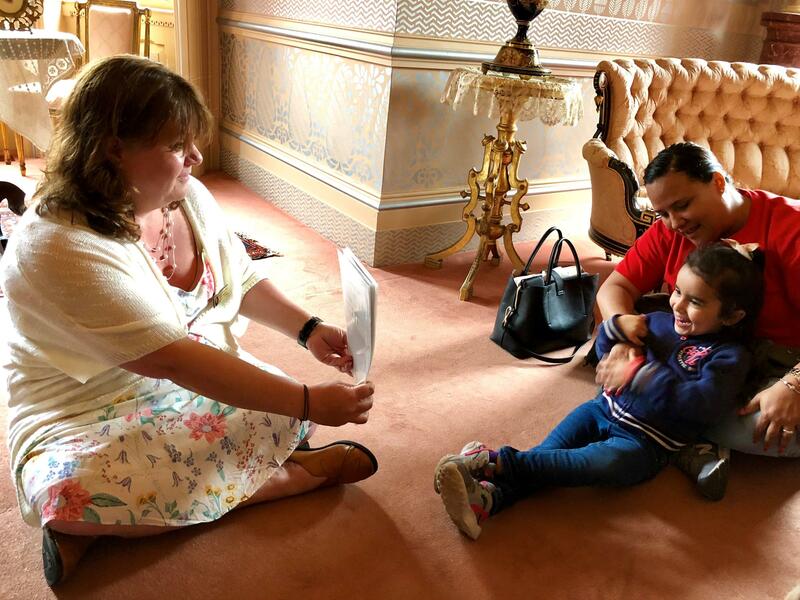 Puerto Rican evacuees were guests at the Mark Twain House during a recent private tour of the national historic landmark in Hartford. 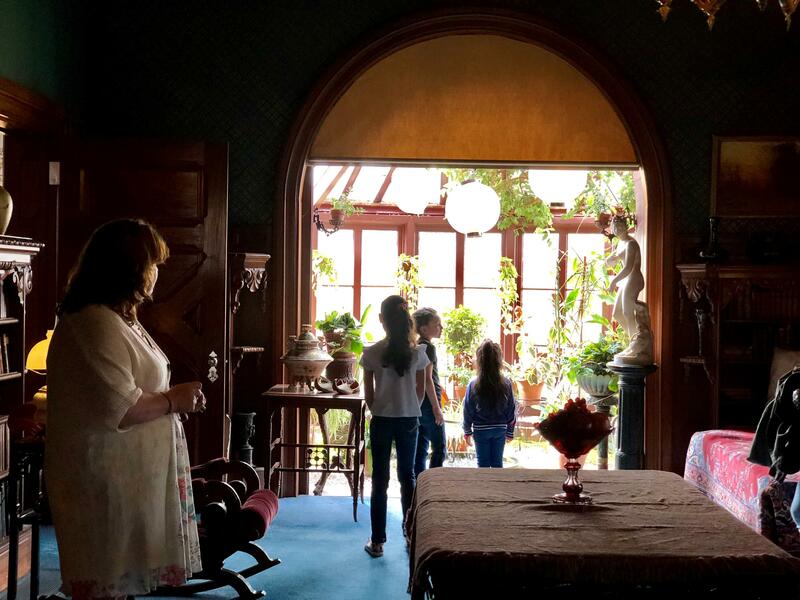 Belanger led one group of families throughout the restored home, showing the billiards room where Twain wrote his most famous works. Sanchez School employee Sally Vazquez translated the tour in Spanish, a role she performed with gusto. Sometimes, it was clear that the children had learned enough English to translate, too. After checking out the Clemens family kitchen, the Puerto Rican families stepped outside. 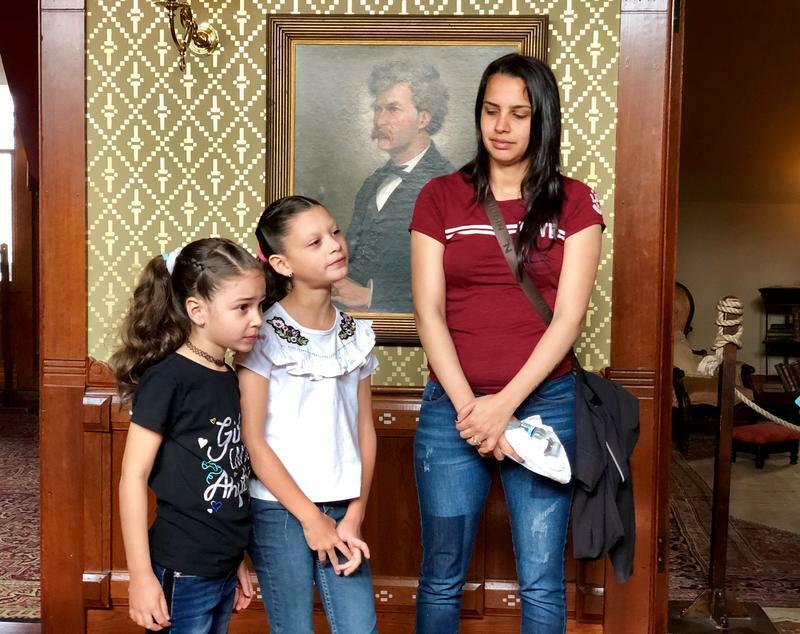 Maria del Mar Morales, one of the parents displaced from the island, said the 144-year-old house seemed like a nice place to live — although it was so big, she said, it’d be a bit tricky to clean. “She said it’s beautiful,” Vazquez said. As it turned out, the field trip was also an opportunity to network. Belanger noted several times that the museum is looking for bilingual Spanish speakers to become tour guides.